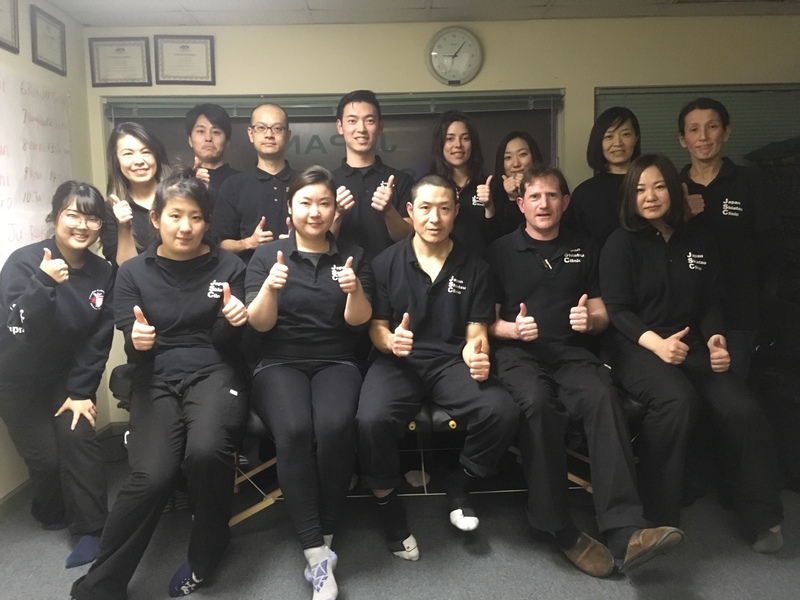 March 31, 2019, Continuing Professional Education Program, Jikiden-kai was held at Canadian College of Shiatsu Therapy Main Campus. We had a shiatsu exchange session this time. We could learn many things through this. It was a good opportunity to share our skills and information. We were also surprised that we still learned new things. 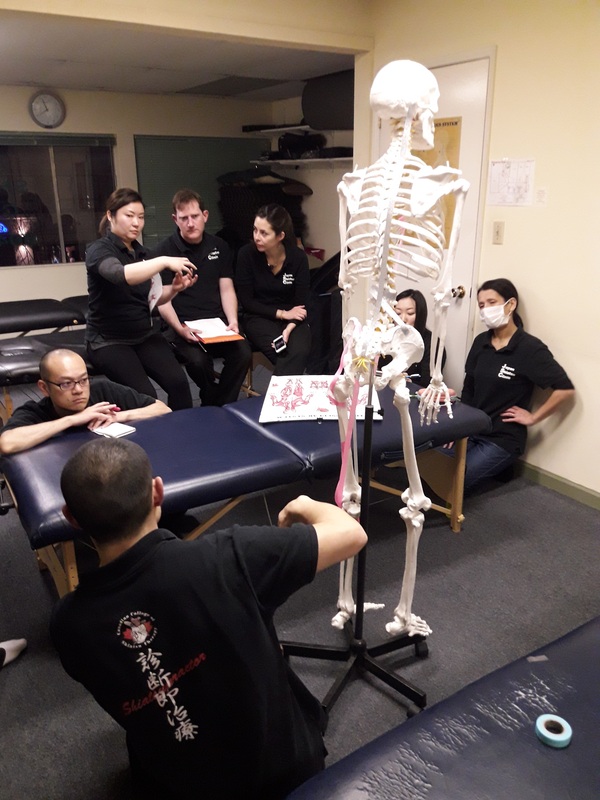 February 24, 2019, Continuing Professional Education Program, Jikiden-kai was held at Canadian College of Shiatsu Therapy Main Campus. We had Tom Ohashi who is a Shiatsu Therapist as a guest speaker. He talked about how to treat for lower back. 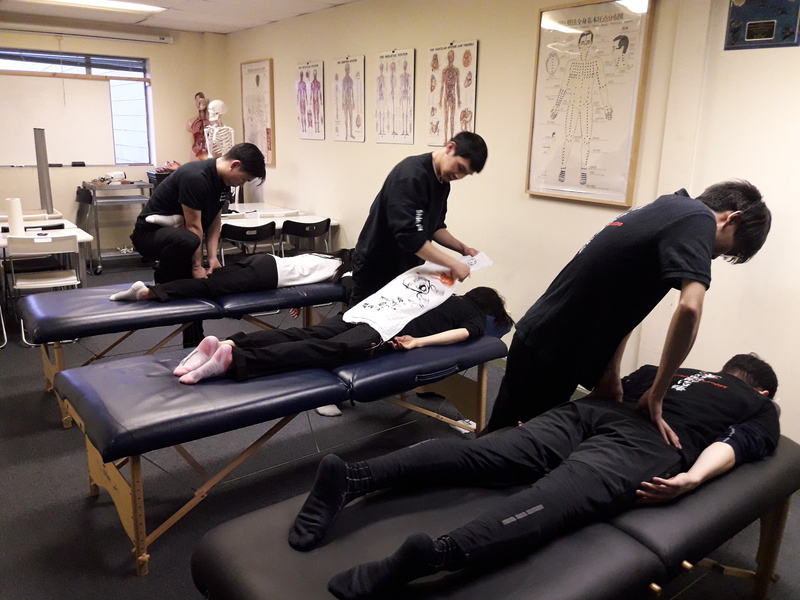 We learned how to evaluate the forward and back inclination of the lower back, and which muscles are effect specifically using a model. It was a great opportunity to be useful for future treatment. 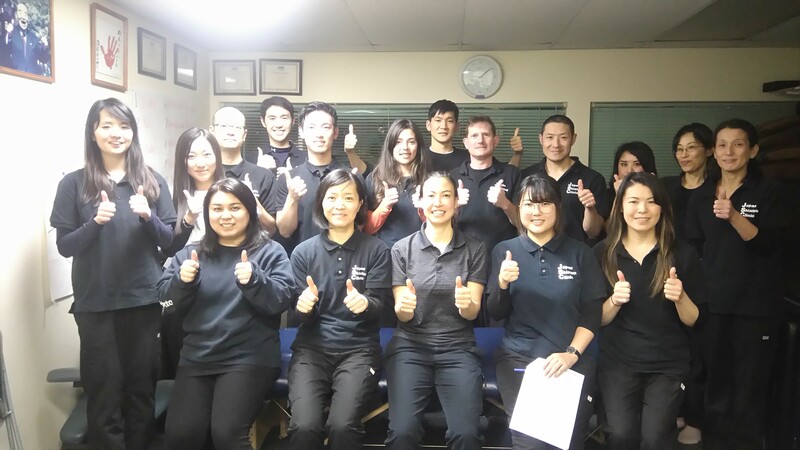 January 27, 2019, Continuing Professional Education Program, Jikiden-kai was held at Canadian College of Shiatsu Therapy Main Campus. 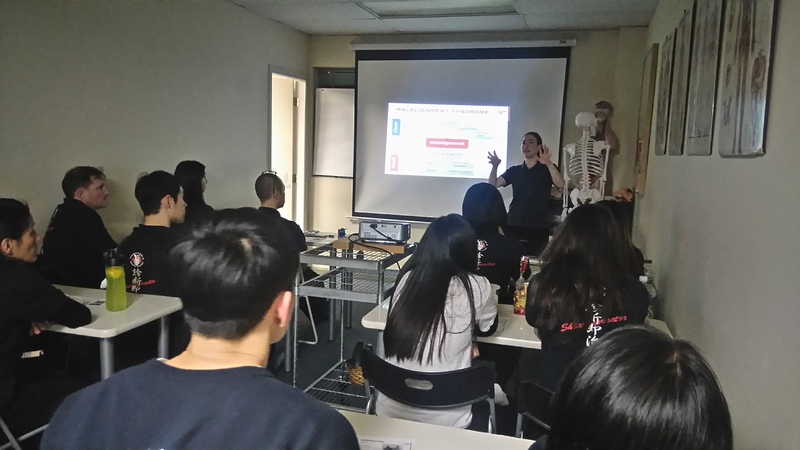 We invited Ms. Naomi Iguchi, who worked as an Athletic Trainer and Movement Coach for 10 years in Japan. She met a unique training approach developed in Japan, which is called "ReaLine Training (Re + Align)", and come to Canada to introduce it. Now she works on her clients with this concept at her studio everyday. At first, she introduce us what is "ReaLine". Where does pain come from? Once we get it and do the alignment as normal posture or habit, then we can adjust the joint and recover to the normal mortion. She instruct us what kind of questions we should ask for and how to diagnose. Her goal is that her clients can keep ideal posture or motions and improvement of performance. It is so important to find out what causes the pain and how to find it for us, too. It was a great opportunity to get the information!